Craig specializes in mergers and acquisitions. He also provides advice on a broad range of corporate and technology issues to both large and emerging companies in the technology space. Craig’s M&A experience includes acting for Geac Computer in its sale to Golden Gate through a plan of arrangement, Labatt in the sale of the Toronto Blue Jays Baseball Club to Rogers Communications, Bedford Funding in the acquisitions of Authoria, PeopleClick and Strategia to create People, Weblink Wireless in the sale of PageMart Canada to Bell Mobility, MidOcean Partners in the acquisition and subsequent divestiture of aerospace manufacturer Noranco and Centro in the acquisition of SiteScout. 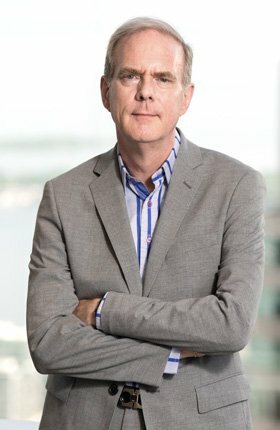 In addition to his role at Blakes, Craig served from 2001 to 2006 as the senior vice-president of mergers and acquisitions, and corporate secretary, of Geac Computer, a large Canadian public software company. In that role, in addition to providing strategic direction for the company, he led a number of acquisitions and divestitures of technology businesses, including Extensity, Comshare and Interealty.